Hey look, a unicorn! 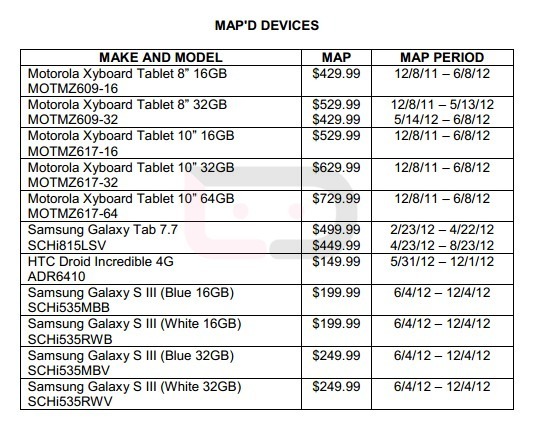 The DROID Incredible 4G LTE has been included in Verizon’s latest MAP (minimum advertised price) list at the $149 price point we first reported a few weeks ago. At launch it may actually end up at $199, but with a $50 rebate, leaving it at $149, but you get the idea. With price out of the way though, do we think that Verizon will ever announce a release date? They first revealed the device officially back at CTIA, which was about a month ago (our first look), but would not give us a time for launch. We were under the impression that the phone was scheduled to hit stores on the last day of May, something this MAP also suggests, yet that clearly did not happen. Now that the Galaxy SIII has been announced and will likely arrive before June is over, we are wondering why the waiting game from Big Red on the Incredible. You can imagine that it will be tough to compete with the GS3 at only $50 cheaper.